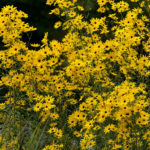 Helianthus angustifolius is a perennial herb sometimes as much as 5 feet (1.5 m) tall. Leaves are long and narrow, up to 6 inches (15 cm) long. 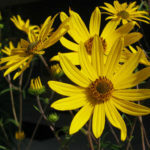 It is often cultivated for its bright, showy yellow flowers. 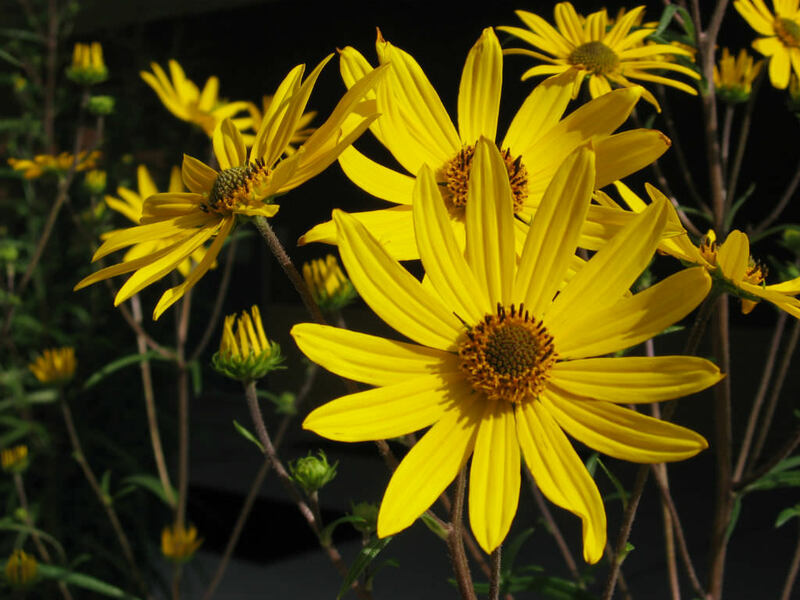 One plant can produce 3 to 16 flower heads, each with 10 to 20 ray florets surrounding as least 75 disc florets. 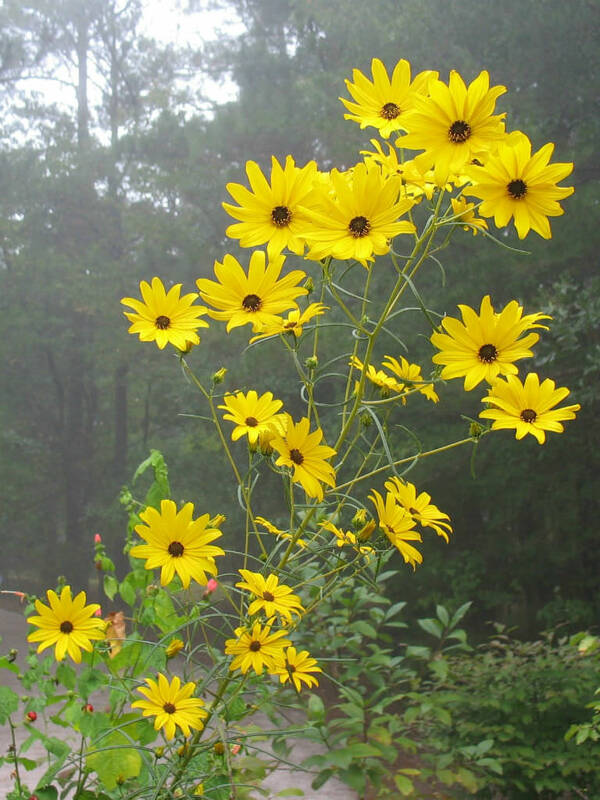 If you decide to add Sunflowers to your garden, there are a few things you will want to keep in mind. First of all, they are called sunflowers for a reason. They need sun. Make sure that the location you choose for your Sunflowers gets full sun. Second, you do not need to worry about soil too much. They are not picky about the conditions of the soil, but they are plants. They will do better in better soil. 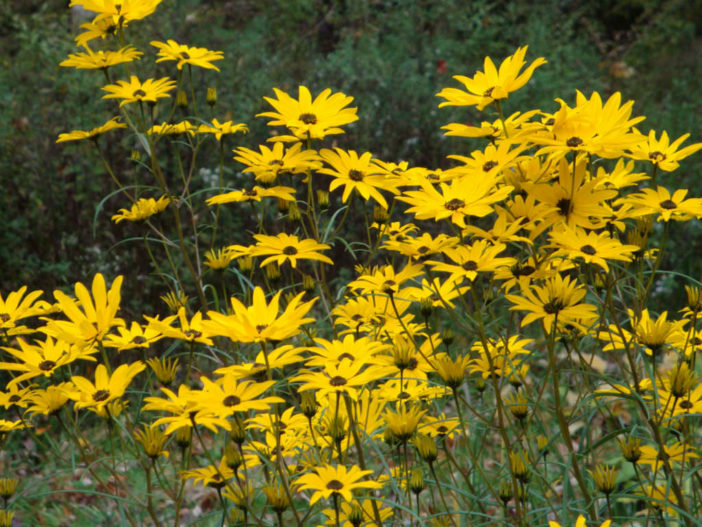 Third, Sunflower seed shells do contain a substance that is toxic to grass. So, you will need to either harvest the Sunflower heads before the seeds begin to fall out or you will need to plant your Sunflowers in a location where you do not mind any nearby grass being killed. Fourth, keep in mind the height of the Sunflower variety you have chosen. 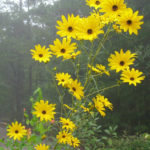 A giant, twelve foot variety will end up acting very much like a small tree and may shade the surrounding flowers… – See more at: How to Grow and Care for Sunflowers. 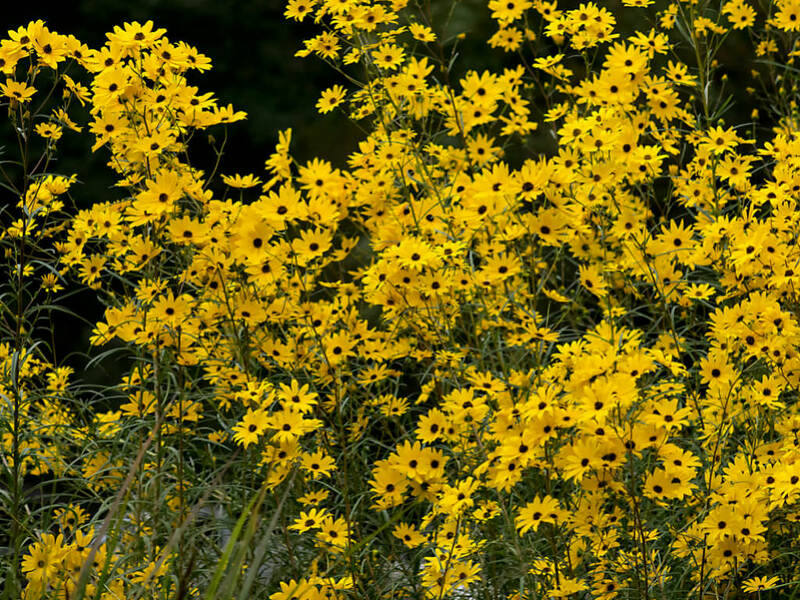 Native to the south-central and eastern United States, found in all the coastal states from Texas to Long Island, and inland as far as Missouri.